EL CAJON, Calif. (KGTV) – After days of protests, the San Diego County District Attorney's Office released two videos Friday afternoon showing the moment an El Cajon police officer shot and mortally wounded an unarmed black man. The videos, one recorded by a witness using a cell phone and the other from surveillance cameras, were released during a news conference at the El Cajon Police Department headquarters at 100 Civic Center Way. During the conference, El Cajon police Chief Jeff Davis said making the video public was essential towards providing information and calm as protests have grown increasingly violent. "We're aware of the impact on the community of El Cajon as a result of the escalation of aggression from some demonstrators that has led to criminal activity," Davis said. Nearby schools let students out at around noon Friday, and a local business association advised its members to close for safety reasons in anticipation of unrest. The association told businesses to remain closed through 2 p.m. Sunday. 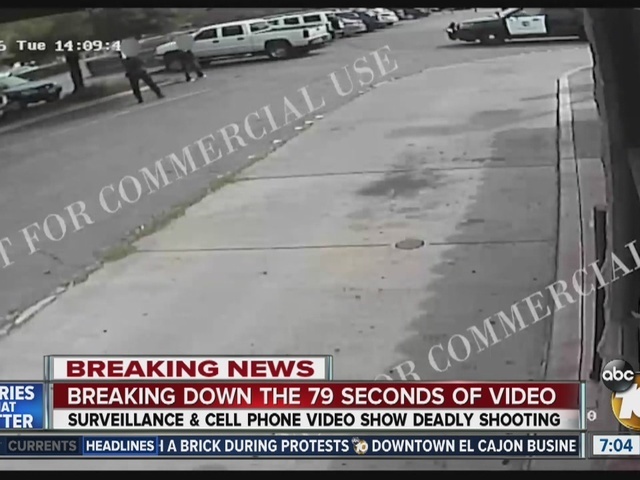 Calls for the release of the video followed after a single still image was made public hours after the shooting on Tuesday. 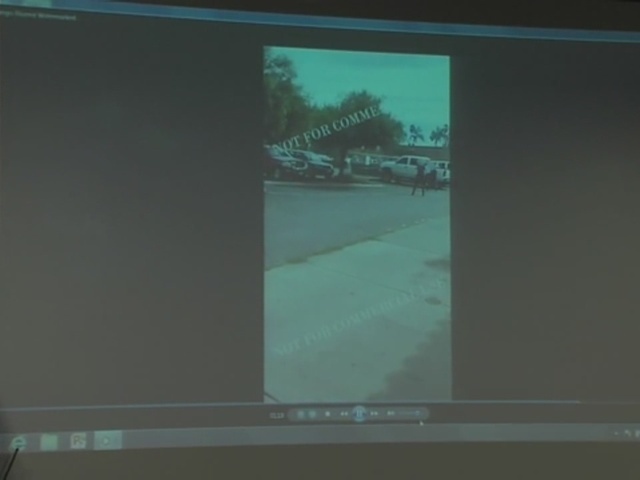 The two clips are the only videos police have obtained capturing the incident. El Cajon police officers do not wear body cameras. Alfred Olango, 38, was mortally wounded by an officer while outside a strip mall restaurant near the intersection of Interstate 8 and state Route 67.